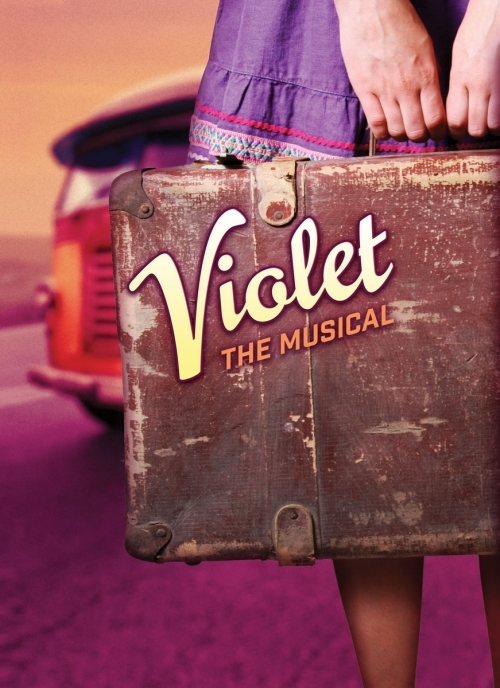 Bay Area Musicals will present the Tony Award-nominated �Violet� beginning February 16 through March 17, performing at San Francisco�s Alcazar Theatre (650 Geary Street). This stage play will be directed by Dyan McBride, with movement by Matthew McCoy and music direction by Jon Gallo. Set in the early turbulent 1960�s, �Violet� follows a scarred woman as she embarks on a cross-country bus trip from Spruce Pine, NC to Tulsa, Oklahoma, to be healed by a televangelist, whom she believes will heal an axe scar which cuts clear across her cheek. As a girl, Violet was struck by a wayward axe blade when her father was chopping wood, leaving her with a visible scar across her face. With enough money finally saved she's traveling across the Deep South in 1964 towards a miracle � the healing touch of a TV evangelist who will make her beautiful. Her journey sets her on a different emotional path when she meets two men in the Army and a host of other characters. Collectively they force Violet to reckon with her haunted past and her unsettled present Although she may not succeed in having the scar on her face healed, Violet is able to repair those scars that are lying deeper than her skin, as along the way she discovers the true meaning of beauty. Her powerful story, with themes of strength, love, awareness, and growth, is told through show-stopping anthems (ranging from American-roots to folk and gospel). Although �Violet� takes place in the deep South in 1964, the judgments and prejudices that Violet faces (as a woman who is disfigured and in the company of an African American soldier) are sadly all too relevant to us in 2019. The themes and tones of this show resonate deeply. �Violet� is ultimately a play about perception. How are we seen by others? What is beauty? How do we see ourselves? With a killer score and a very smart book, this powerful musical takes audiences on a ride with a complicated protagonist who more than earns her title billing. Bay Area Musicals� production of �Violet� will be a unique, intimate rendition of this rarely-performed show: a truly not-to-be-missed theatrical event for Bay Area audiences. Inspired by the short story �The Ugliest Pilgrim� by Doris Betts, the World Premiere 1997 Off-Broadway production of �Violet� won the Drama Critics' Circle Award and Lucille Lortel Award for Best Musical, and the revised version that debuted on Broadway in 2014 was Tony Award-nominated. �Violet� runs one-hundred minutes, with no intermission. For tickets or more information please visit www.bamsf.org/violet.